Dormann, C., Guthier, C., & Cortina, J. (in press). Introducing Continuous Time Meta-Analysis (CoTiMA). Organizational Research Methods. Meta-analysis of panel data is uniquely suited to uncovering phenomena that develop over time, but extant approaches are limited. There is no straightforward means of aggregating findings of primary panel studies that use different time lags and different numbers of waves. We introduce Continuous Time Meta-Analysis (CoTiMA) as a parameter-based approach to meta-analysis of cross-lagged panel correlation matrices. CoTiMA enables aggregation of studies using two or more waves, even if there are varying time lags within and between studies. CoTiMA thus provides meta-analytic estimates of cross-lagged effects for a given time lag regardless of the frequency with which that time lag is used in primary studies. We describe the continuous time underpinnings of CoTiMA, its advantages over discrete time correlation-based meta-analysis of structural equation models (MASEM), and how CoTiMA would be applied to meta-analysis of panel studies. An example is then used to illustrate the approach. We also conducted Monte Carlo simulations demonstrating that bias is larger for time category-based MASEM than for CoTiMA under various conditions. Finally, we discuss data requirements, open questions, and possible future extensions. Vom 27.03. bis 12.04.19 ist das Sekretariat des LS Troitschanskaia nur unregelmäßig besetzt. In dringenden Fällen wenden Sie sich bitte an lstroitschanskaia@uni-mainz.de. 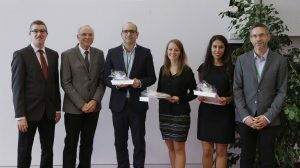 Von Januar bis März 2019 folgt Herr Dr. Roland Happ (Lehrstuhl für Wirtschaftspädagogik Prof. Dr. Olga Zlatkin-Troitschanskaia) der Einladung des Mori Arinori Institute for Higher Education and Global Mobility für einen Forschungsaufenthalt. Das Institut ist an der renommierten japanischen Hitotsubashi University in Tokio angesiedelt. beachten Sie die geänderten Öffnungszeiten des Sekretariat von Herrn Prof. Dr. Dormann im März und April . Modern societies of the 21st century are facing a fast-growing digitisation of almost every sphere of life and work, from industrial production to transport logistics, retailing and, finally, private life such as sleeping, cooking, leisure activities et cetera. Smart devices are collecting large amounts of data that allow to identify persons and objects and to check their current status and position. It rather seems that algorithms are governing our world. Hence, the digital society is in need of new governance approaches in order to cope with these challenges, to keep pace with the rapid technological development, to maintain control and to guarantee a worthwhile future of our society. Our main research question is how to govern complex systems and which mode of governance (soft vs. strong control) produces best results. Agent-based modelling (ABM) with the simulation framework SimCo, developed at TU Dortmund, may help to better understand the functioning of complex systems and to provide means to govern the digital society. 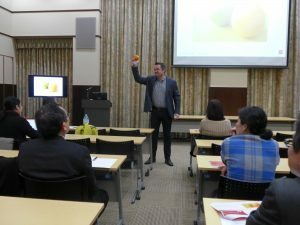 The Asia Pacific Academy for Psychosocial Factors at Work has elected Christian Dormann as Fellow in recognition of an outstanding career contribution to addressing psychosocial factors at work. This study examines the motivational effects of daily positive work events. 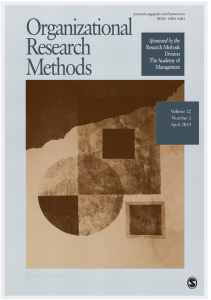 Drawing on self‐determination theory, we investigated the motivational mechanism of two clusters of commonly encountered positive work events – achievement and recognition events – from a within‐person perspective. Specifically, we argue that achievement events and recognition events influence subsequent work engagement through satisfying different psychological needs. We tested our model using experience‐sampling data from 200 full‐time employees over eight workdays. As hypothesized, after controlling positive affect as an additional mediator, both achievement and recognition events had positive effects on work engagement through psychological needs satisfaction. The results also revealed that achievement and recognition work events had differentiated effects in satisfying different psychological needs. These results shed light on the motivational function of positive work events above and beyond the affective mechanism and explicate the processes through which different types of positive work events relate to work engagement. Lena Germer (3. v.r.) wurde für ihre am Lehrstuhl für Wirtschaftspädagogik Prof. Dr. Olga Zlatkin-Troitschanskaia verfasste Masterarbeit mit dem Titel „Der Zusammenhang von Leseverstehen und dem finanziellen Wissen bei Studierenden in Deutschland“ mit dem Preis der Käthe und Ulrich-Pleiß-Stiftung ausgezeichnet. The PLATO initiative, which is led by JGU Mainz, brings together scientists from multiple German universities, research institutes and cooperating partners worldwide who research the impact of the Internet and social media on university students’ learning. Studies identify key characteristics of the information landscape that influence students’ learning paths, processing, and outcomes in selected domains of higher education. 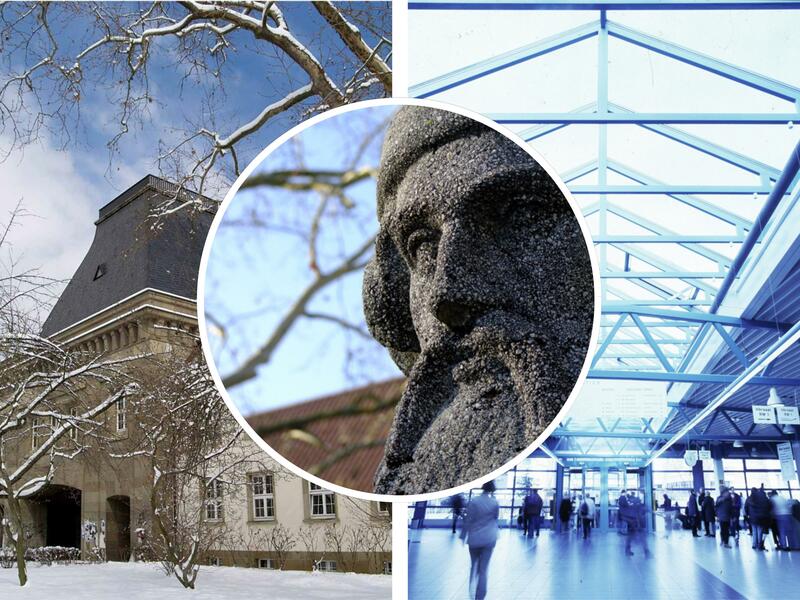 PLATO has been granted funding from the initiative fund of the Rhine-Main Universities (RMU) (for more information, see PLATO-Website).